Why is the Workplace More Stressful for Women? A recent analysis by health and safety consultants Arinite has revealed that excessive stress levels amongst female workers are 1.5 times more likely than in men. Stress is the adverse reaction people have to excessive pressure or other types of demand placed on them. There is a clear distinction between pressure, which can create a 'buzz' and be a motivating factor, and stress which occurs when this pressure becomes excessive. Over a five year period between 2009 and 2014, female workers in the UK were consistently more likely to suffer such feelings of anxiety that was caused or made worse by work. 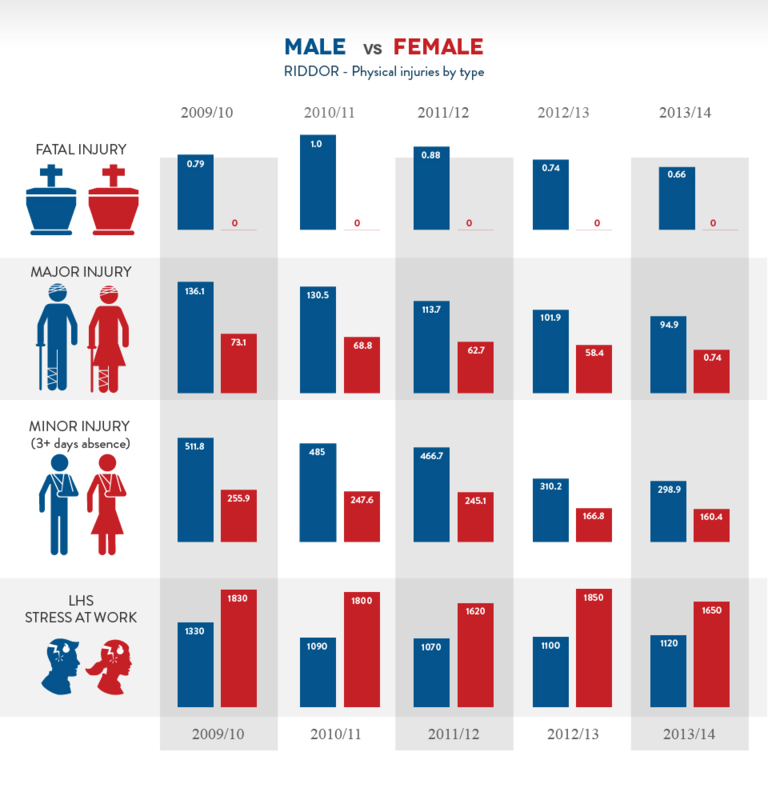 The full extent of the gender gap can be seen in this illustrative health and safety tracker. Despite a decrease in the number of physical injuries and fatalities in workers over the past five years, the analysis indicates that levels of stress have continued to rise since 2011. In 2014, for example, a total of 487,000 incidences of work-related stress were reported in the UK, which was an increase of 87,000 compared with 2011. According to health and safety expert Bryan Richards, each year half a million workers in the UK alone experience levels of workplace stress that they believe are making them ill. This comes despite the fact that our knowledge of the negative impact of stress on the body has become more widespread. Why are women more likely to suffer from workplace stress? A report from Tel Aviv University in Israel, which analysed workers in industrialised countries around the globe, suggests that the quality of the working environment is perceived to be significantly lower by women than men. The report, titled ‘Work, Employment and Society’, involved questioning participants on their feelings of job security, flexibility and also the perceived potential for progression in the workplace. The findings show that male workers generally indicate their levels of exhaustion and stress at work are 5% lower when compared to the responses from female workers. Male responses also suggested they were satisfied with their job flexibility and opportunities for advancement, whilst females were less likely to offer a positive response in these areas. On top of an inferior sense of wellbeing at work, females across the globe are also subject to a discriminatory pay gap which leaves them lagging behind on the pay scale when compared with their male counterparts. In 2013 the pay gap was estimated to be 15% on average across the globe, with Korea being the worst offending country. In the UK, this gap amounts to an average of £100 per week, or £5,200 per year, according to the ONS. Overall, female workers experience higher levels of exhaustion, perceive themselves to have low levels of job security and earn lower salaries than male workers. This may go some way to explaining why the ratio of female workers suffering from work related stress or anxiety is reported to be much higher than amongst males. Health and safety consultant Bryan Richards suggests that this issue is one that must be tackled by employers. “The first step is for employers to acknowledge there is a gender gap, and then make this a point of focus. If female employees are more likely to experience high levels of stress that lead to sickness absence, then employers should ensure there is a sufficient support network in place for this demographic. First of all, make sure female employees are given the opportunity to express their concerns about the working environment. This should be done either privately or anonymously. Once they have the feedback, employers and employees should brainstorm together about how to tackle these issues. Having a neutral party present on such occasions can help to ensure that these exercises are carried out fairly”. In order to combat the gender divide and reduce female stress levels at work, employers should also enable workers to pace their work, and encourage flexible working hours for all employees. Such allowances promote a happier working environment and enable workers to lead social lives that benefit mental wellbeing. 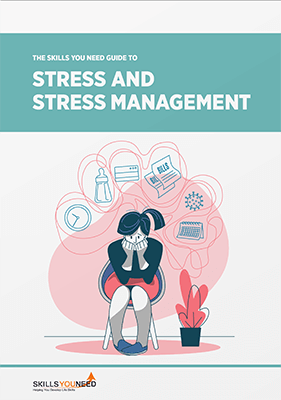 Considering stress is one of the biggest causes of workplace sickness absence, it’s crucial that employers take this issue seriously and implement an efficient workplace stress management system. Sickness absence is costly both in terms of mental wellbeing for employees, and in terms of actual monetary costs for employers. In the UK alone, sickness absence costs employers on average £495 per worker each year. Ensuring gender inequalities are eradicated is just one step to solving this issue. Hollie Mantle works in association with Arinite Health and Safety Consultants to highlight pressing workplace health and safety issues.